I’m falling in love again, this time with an older specimen who has had some serious injuries and surgeries and needs more. I’m concerned about his health and wellbeing. I have a friend who likes to buy interesting things at second hand stores and yard sales. Some of his purchases are for him, and some are for his friends. He mentioned that he has a 7/8 size violin and I asked him about it. He said that it has a sweet sound, but it’s old and beat up, and it’s probably not worth much money. I asked him how old it is, and he said that it was made in Germany around 1900. At this point, I got very interested and wanted to see it. He had it stashed away in his car (ow – hot! ), so I asked him to bring it over. I told him that violins need to be played from time to time to keep them healthy, and I volunteered to help. I saw it last night, and it is very good looking. I began to make its acquaintance as I do with any violin I'm interested in. I started playing, at first on the open strings, and listened for warmth, resonance, and sustain. It was really sweet. Then I tried extremes of dynamics and gradual crescendos and decrescendos, checked the quality of sound from lowest to highest registers, and the listened to the richness of the vibrato. I played slow tunes, fast tunes, bluegrass tunes, Bach, and everything else I could think of. Wow! 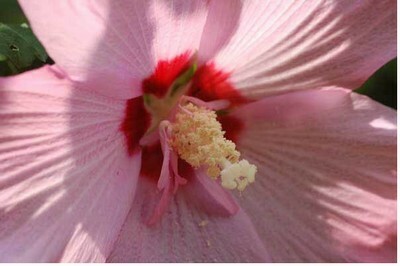 I think some of its sweetness and sensitivity come from its very light weight. Besides being a 7/8 size, the wood must be thin. Now the bad news. The bridge is severely warped, but it can be replaced, and it's not expensive. I didn't dare tighten the strings enough to get them in tune, and, when I was finished playing, I loosened all the strings so they were very slack. 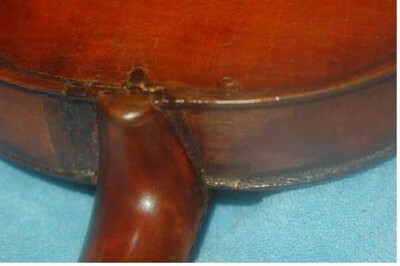 The real danger of a badly warped bridge is that it transmits tension to the violin body, and it can do damage even to a violin in good shape. The first crack that I saw was right under one of the feet of the bridge. A much more serious crack is right where the body connects to the neck. It has been repaired before, but it does not look good. I thought of Richard Hellinger, who wrote on v.com recently about a great sorrow; his violin broke at the neck. 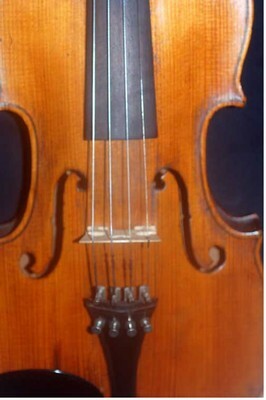 The fingerboard on my friend’s violin is beginning to separate from the neck, possibly because of the way the neck and back were glued together. It must be quite a good violin to sound so beautiful in spite of all this. I will not take it to my luthier today, but only because the store is closed on Monday. I’ll go there tomorrow, for sure, and get a damage report and repair estimate. If I had the money, I'd pay for repairs and buy it, but I just can’t. I’ll talk to the luthier and see what can be done.. I want to find out what repairs would cost and what it would take to keep it from deteriorating or falling apart altogether. It is really a gem. I’m so concerned about its health. I hope I get good news from the luthier. I’m reading Heifetz As I Knew Him by Ayke Agus, which I learned about from Evil Linda’s blog. I’m about halfway through, and my reaction is morbid fascination. Heifetz was not a nice guy. My reaction to Isaac Stern’s autobiography [link] was totally different. Stern was a well rounded man with many interests and relationships with diverse people, including his wives and children, heads of state, and other musicians. He wrote warmly about many musicians, especially David Oistrakh, for whom he had great respect and affection. Stern and Oistrakh became good friends through long hours of conversation even though they knew that the KGB was eavesdropping on them all the time. Regarding Heifetz, Stern said only that he was the greatest violinist of the twentieth century but he did not relate well to other people. Stern was diplomatic. The enlightened approach to Heifetz’s personality is to recognize that it derives from his difficult childhood as a prodigy. Heifetz’s parents pushed him relentlessly and frequently told him that he was not playing well enough. Their motivation was partly financial; Heifetz supported his family from early childhood on. As a child, he became petulant and spoiled by his success and his power over his parents. Ayke Agus, an Indonesian woman of Chinese descent, felt a commonality with Heifetz because she was pushed relentlessly by her mother to be a star performer as a child. She was allowed to play violin (most important) and piano and was given responsibility for taking care of her younger brothers and sisters. She was not allowed a personal life. 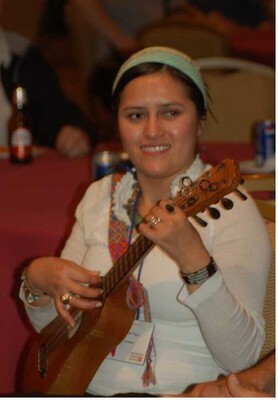 She came to the United States to study violin in college and attended a Heifetz master class. Her description of Heifetz’s master class and his treatment of his students curdled my blood. I wondered why Agus and the other students put up with Heifetz’s c… I know that Heifetz was Heifetz, but why be so masochistic? Agus and Heifetz had an unusual compatibility, and she became Heifetz’s accompanist, confidante, and whipping post (her description) for the last fifteen years of his life. Agus wrote in great detail, with utter bitterness and disdain, about her childhood, her family, and the culture she was brought up in. In fact, she didn’t get around to writing about Heifetz until almost halfway through the book. I’m at that point in the book, and I ask myself why I continue reading it. In part, it’s because of the morbid fascination. Also, I bought the book because I wanted to learn about Heifetz, and I’m still waiting. I know that I’ll learn some interesting things later in the book. For the next book I read, I’ll choose something with warmth and levity. I enjoy the rewarding feeling of helping make good things happen, especially underfunded things like music or education, so I do a lot of volunteer work. I always hope to enjoy the camaraderie of fellow idealists, but it doesn’t always turn out quite that way. Ego trips and turf battles occur in volunteer work, just as they do in the daily grind of wage earning. I started doing volunteer work at an annual event four years ago, I didn’t feel entirely welcome. Everyone seemed to have their territory staked out, and most of them didn’t want to be threatened. When I asked what I was supposed to do or how I was supposed to do it, I was told to see what needed to be done and do it myself. After all, if someone had told me the correct way to do something, I might have done it correctly and deprived them of the fun of telling me that I had done it wrong. No matter what I did, people frequently told that I was doing it at the wrong time, in the wrong place, or in the wrong way. The work was actually not very complex or sophisticated. We served food and drink at a reception for some artists. I cut up vegetables into pieces too big or too small. I put food out to eat too early or too late in the evening. I diluted the lemonade too much or too little. I put chips on a black plate instead of a white one. I set the brownies down on the table too close or too far from the cookies. I shoveled ice from the wrong ice chest. This year I began to feel accepted, but the feeling was drowned in a new flood of criticism. What bothers me the most is the “sidewalk supervisors.” People sit around doing nothing and then criticize me for taking breaks when there is no work to do. We are often told that most Americans have too sedentary a lifestyle, and these volunteer workers are, frankly, physically lazy. Most of them sit still most of the time while a few of us run back and forth from the ice box, to the cutting board, to the table, to the trash cans, to wherever there is work to do. I have some issues with my health. I am recovering from foot injuries which prevented me from standing and walking more than a few steps just a month ago. Yet people kept telling me to go somewhere else and do something else so they can sit down. I’m troubled with asthma, and I often get weak and dizzy in warm, humid conditions, for example, in food kitchens. I also get short of breath sometimes in rooms with crowds because people have cigarette smoke on their clothes or perfume, cologne, or scented cosmetics on their skin or hair. Now and then I would go out to the lobby, where it’s cooler and less crowded, and just sit still for a while and breathe and then go back into the party room or kitchen to do more work. At one point, when I felt ill, I ran to the ladies room, only to find my way blocked by screaming, laughing partygoers who told me not to walk in because they were taking photographs. By midnight, I felt quite sick, but I couldn’t go home because I don’t have a car and the buses don’t run that late at night, so I waited in the lobby and tried to nap while I held an ice pack on my head. On one of my sallies back into the party room, I saw the most sedentary and critical volunteer crawl under the serving table and pull the table cloth behind her. I thought she was looking for something that had fallen there. Later, I saw her do the same thing under one of the other tables and stay there. She was just taking breaks that way. She certainly didn’t get up and wash her hands before handling food again. I have too much self control. When people snap at me, I don’t snap back. 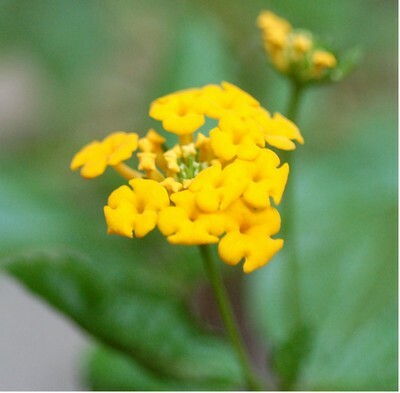 They see me as a wimp and just b…. at me more. Why do I do this? It’s not good for my health. I could just take the $50 I spend on public transportation for 10 days and write a check to the organization. I keep reminding myself that I do have fun there. I don’t have much of a social life, and I enjoy the parties. I like hearing the music and talking to the musicians from other parts of my own country and other countries. I even like talking with some of the other volunteers. 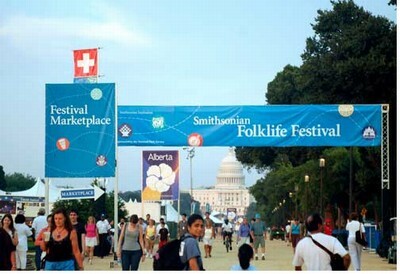 One of the best things happening in Washington DC for two weeks every summer is the Smithsonian Folklife Festival (http://www.folklife.si.edu/festival/2006/index.html and http://ronolesko.blogspot.com/) on the National Mall between the Capitol and the Washington Monument (see my blog of July . 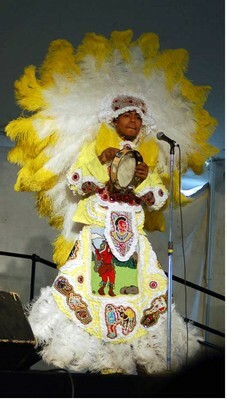 The Festival is a celebration of music, dance, crafts, and folklore from various cultures with the US and elsewhere. Of course, I especially like the music. I do volunteer work at night in the hotel where the participants in the Festival stay, helping them enjoy partying. Besides putting out food and drink at a buffet table, I get to talk with some of the participants. Best of all, I get to watch and hear them jam. I always love jams, but these jams are really special. 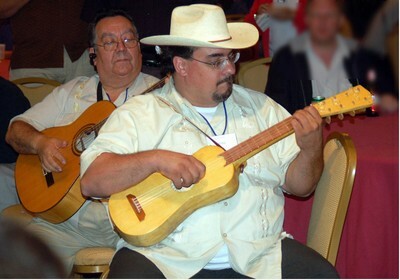 There are so many musicians from different cultures who play different instruments and different kinds of music, and they all connect through the music they play together. It is very exciting. 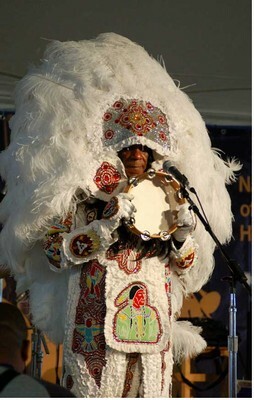 This year there are musicians of various ethnicities, including French and Ukrainian, from Alberta; Native Americans from the Cree tribe; Hispanics currently living in Chicago but coming from many Latin American countries; and African-American musicians from new Orleans. Sometimes they played music from their own traditions, and sometimes they ventured into anything else, including Celtic, bluegrass, and American square dance music. The people from the Smithsonian who scout and recruit the musicians do a very good job. All of the musicians are top notch. 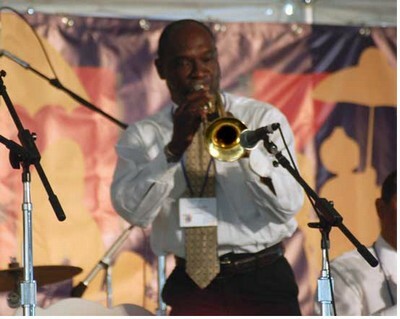 The Festival includes a series of evening concerts called Been in the Storm So Long, with performances by African-American musicians from New Orleans. 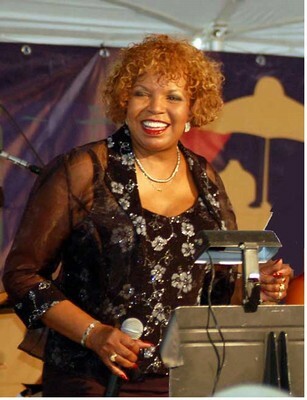 Before they played, several of them spoke briefly about their losses in Hurricane Katrina – homes, music studios, musical instruments, photographs, and music memorabilia – losses that can not be measured in dollars. 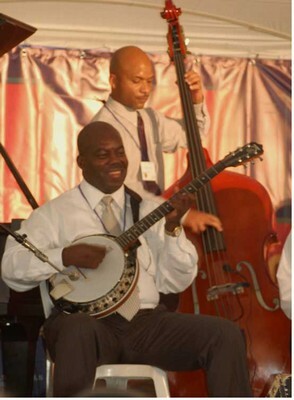 I heard them play hot jazz (none of this smooth, cool, wimpy stuff), swing, and R&B music. 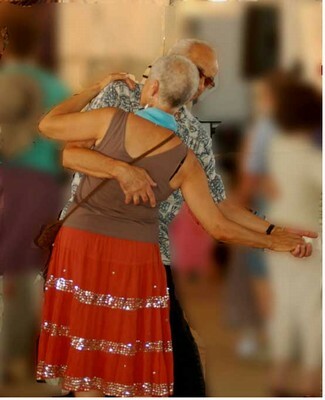 There was a dance stage, and lots of people got up and did swing dance or any other kind of dance they felt like doing. 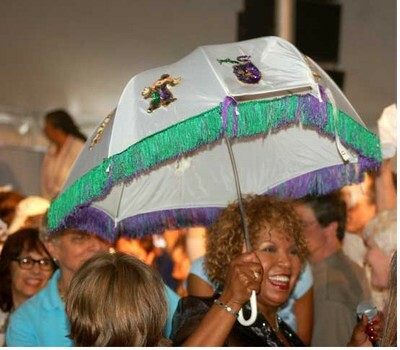 For an encore, the band played When the Saints Go Marching In, and people on the dance floor did a Second Line dance, a new Orleans tradition. At funerals, the First Line of family members is followed by a Second Line of people doing a kind of snake dance, accented by waving handkerchiefs in the air. It was all great. At one jam session I was treated to Celtic music played by a harper and a fiddler from Alberta and several Hispanic musicians who followed their lead. The harp was very modern. It’s frame was made of carbon fiber with a hinge in the middle. It can be folded up without removing the strings and carried on an airplane. I asked the harper whether she flew on Delta, and she said no. Some of the Hispanic instruments were very interesting, too. There were many stringed instruments which were strummed or plucked. (I describe them as guitar-like because I don’t know their names.) 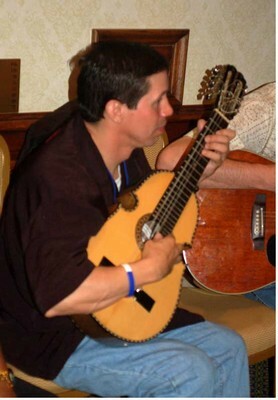 There was one that I especially liked, so I asked the musician, who was from Puerto Rico, what it was called, and he said something that sounded like “quatro.” I doubt that I got that right because it has five pairs of strings. The sound is absolutely beautiful, a bit like a mandolin, but much more deep, rich, bright, and fluid. The musicians made incredibly beautiful music with it. It sounded like the heart and soul of Hispanic dance music. I asked another Puerto Rican musician about his percussion instrument. It was made from a Puerto Rican gourd. The outside of the gourd was scraped smooth and painted decoratively, and one part of it was scored with a series of finely spaced lines. The player brushed a metal tool across the lined part to make a percussive sound. (My crude explanation does not do it justice. 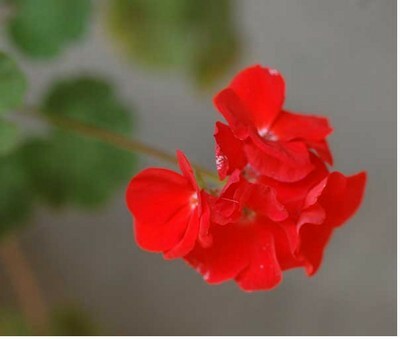 It has a really pleasant sound.) 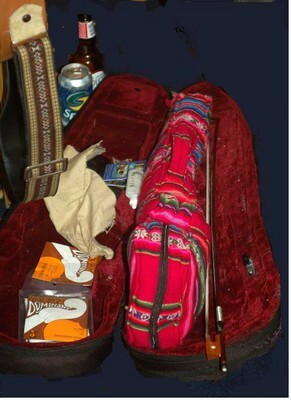 One of the Hispanic fiddlers used a beautiful, brightly colored, woven material to cover his instrument in its case. He also used Dominant strings. So far, the music has been fantastic, and there’s more to come. 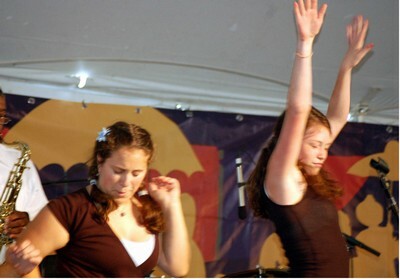 Music has nearly incredible power to sustain and nourish people in good times and bad. Isaac Stern’s autobiography, “My First Seventy-Nine Years” bears witness to this power. In 1991, during the Persian Gulf War, Stern flew to Israel and received permission to play with the Israel Philharmonic and Zubin Mehta in small concert halls which could be evacuated quickly if necessary. During one concert, in the middle of a Mozart concerto, an official came onstage, announced an air-raid alert, and told everyone to put on their gas masks and stay calm. Everyone complied, but their fear was almost palpable. Stern took off his own mask, told the audience to listen, and played the Sarabande from Bach’s D Minor Partita. He watched the audience, with gas masks on, become still and wait for the thud of the missile. They heard a distant explosion, but Stern continued playing. Soon the alert ended, the gas masks came off, and the people in the audience jumped to their feet and applauded wildly. Stern had a gratifying feeling of balancing -- and even defying –- destruction with music. 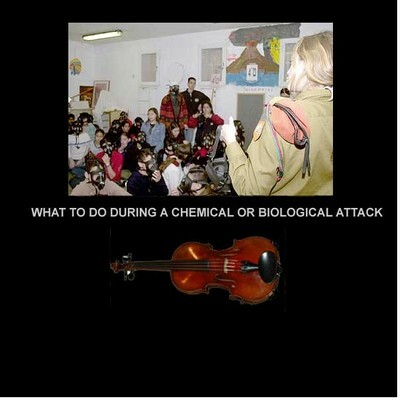 Note: The photo, minus the violin, and caption come from an Israeli government website.